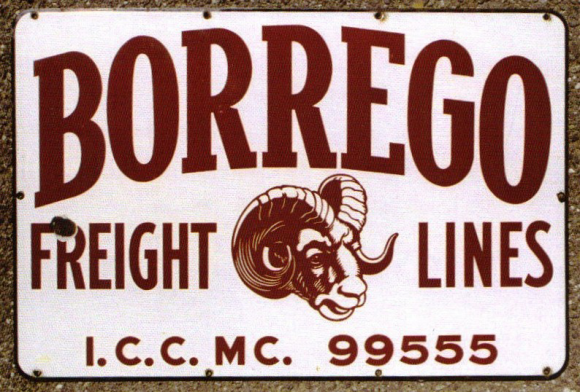 This is a rectangular Borrego Freight Lines porcelain sign. This particular Borrego Freight Lines sign is predominantly white with maroon text. It reads, “Borrego Freight Lines, I.C.C. MC. 99555” and features a maroon ram head in the center.